Nationality: Australian. Born: 1940. Education: Sydney University. Family: Married 1) Rhoisin Patricia Harrison; 2) Virginia Patricia Mary Dugan, 1985; has three children. Career: Worked in advertising and for ABC TV, late 1950s; moved to London, 1961, and taught at girl's school, Willesden; film editor, East Nigerian Film Unit, 1964–66; head of British Film Institute Production Board, 1966–70: produced eighty-six films, notably short documentaries; moved to Australia, 1971; directed first feature, The Adventures of Barry MacKenzie , 1972; moved to United States, 1981. 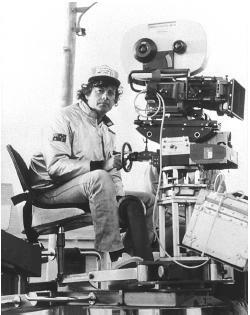 Awards: Best Director, Australian Film Awards, for Don's Party , 1976, and Breaker Morant , 1980; Best Director, American Film Institute Awards, for Don's Party , 1977; Best Director, Canadian Film Awards, for Black Robe , 1991. Agent: William Morris Agency, Beverly Hills, CA. "An Aussie in Hollywood," an interview with G. Crowdus and U. Gupta, in Cineaste (New York), vol. 12, no. 4, 1983. Interview in Screen International (London), 21 May 1983. "The Paramount King David ," an interview with Brent Lewis, in Films (London), December 1984/January 1985. "Tender Crimes," an interview with Margy Rochlin, in American Film (Washington, D.C.), January/February 1987. Interview with Film a Doba (Prague), Autumn 1994. Interview with S.B. Katz, in Written By (Los Angeles), June 1997. Reade, Eric, History and Heartburn: The Saga of Australian Film, 1896–1978 , Sydney, 1979. Stratton, David, The Last New Wave: The Australian Film Reader , Sydney, 1980. White, David, Australian Movies to the World: The International Success of Australian Films since 1970 , Sydney, 1984. Bruce Beresford: An Annotated Bibliography , Melbourne, 1985. Radcliff-Umstead, Douglas, ed., National Traditions in Motion Pictures , Kent, Ohio, 1985. Lewis, Glen, Australian Movies and the American Dream , New York, 1987. Bennett, Bruce, ed., A Sense of Exile , Nedlands, Australia, 1988. Dermony, Susan, and Elizabeth Jacka, The Screening of Australia: Anatomy of a National Cinema , Vol. II, Sydney, 1988. Bertrand, Ira, ed., Cinema of Australia: A Documentary History , New South Wales, 1989. Radcliff-Umstead, Douglas, ed., Motion Pictures and Society , Kent, Ohio, 1990. Rattigan, Neil, Images of Australia: 100 Films of the New Australian Cinema , Dallas, 1991. McFarlane, Brian, and Geoff Mayer, New Australian Cinema: Sources and Parallels in American and British Film , Cambridge, England, 1992. Radcliff-Umstead, Douglas, ed., Varieties of Filmic Expression , Kent, Ohio, 1992. Murray, Scott, Australian Cinema , St. Leonards, Australia, 1994. Connelly, Keith, "The Films of Bruce Beresford," in Cinema Papers (Melbourne), August/September 1980. Robinson, David, "Bruce Beresford's New Australian Cinema," in the Times (London), 23 October 1980. Heung, Marina, " Breaker Morant and the Melodramatic Treatment of History," in Film Criticism , Winter 1984. Quartermain, Peter, "Two Australian Films: Images and Contexts for The Term of His Natural Life (1927) and Don's Party ," in Commonwealth Essays and Studies (Dijon, France), Spring 1984. Lewis, Brent, "A Deft Talent," in Films (London), February 1985. "Bruce Beresford Is Home," in Encore (Manly, New South Wales), 7 November 1985. Bryant, Hallman B., " Breaker Morant in Fact, Fiction, and Film," Literature/Film Quarterly , 1987. Rochlin, Margy, "Tender Crimes," American Film , January/February 1987. Davidson, Jim, "Locating Crocodile Dundee," Meanjin (Victoria, Australia), March 1987. Pym, John, " Mister Johnson ," in Sight and Sound (London), Spring 1990. Vann, Helene, and Jane Caputi, "Driving Miss Daisy: A New Song of the South," Journal of Popular Film and Television , Summer 1990. Freebury, Jane, " Black Robe : Ideological Cloak and Dagger?" in Australian Canadian Studies (Wollongong, Australia), 1992. Mortimer, Lorraine, "The Soldier, the Shearer and the Mad Man: Horizons of Community in Some Australian Films," Literature/ Film Quarterly , 1993. Groves, D., "Oz Helmers Graduate from Hollywood High," in Variety (New York), 7–13 October, 1996. Bruce Beresford's career has been described as both interesting and uneven. Since his debut as a maker of feature films in 1972 with the broad comedy The Adventures of Barry MacKenzie , Beresford has made a wide variety of movies. But there is unity in this variety. If his Australian films, such as The Getting of Wisdom and Breaker Morant , seem more hard-edged and political than Tender Mercies, Crimes of the Heart , or Driving Miss Daisy , his latest American films nevertheless carry a social comment, if conveyed ever so quietly. Beresford showed an interest in making films from an early age but moved to England when he saw little chance of being able to direct in Australia. After holding a number of jobs abroad, including a stint working for the British Film Institute, he returned home when government subsidies offered the possibilities for an expanded local production schedule. His first film, The Adventures of Barry MacKenzie , was deliberately commercial and pitched at a popular level since he felt that Australian films needed to prove their marketability at that time. The success of this film and his next "ocker" epic, Barry MacKenzie Holds His Own , gave him the leverage within the industry to be able to explore a different kind of work. The more serious social comment of Don's Party , a film set against the failure of the Labor Party in the national elections of 1969, offered a clear-eyed look at Australian society of the 1960s and pursued in a more serious way the contradictions in the Australian character. Don's Party is a small movie based on David Williamson's play, and it was filmed largely within the confines of a suburban house. Its intense probing of character and the film's at-times claustrophobic atmosphere surfaced in the director's later, better-known films. Beresford next turned to a project he had wanted to do for some time, The Getting of Wisdom , based on the autobiographical novel by H. H. Richardson. The story traces the adventures of a young woman who arrives from the outback to receive a proper education at a city girl's school. The film is a period piece but provides a devastating look at the overly genteel pretensions of class-bound, nineteenth-century Australian society. Not yet secure in its own identity, the film noted that the society still copied the Victorian social arrangements of the motherland. A stunningly beautiful film, The Getting of Wisdom established Beresford as a maker of serious and thoughtful films in the European art film tradition. After shooting a caper film, The Money Movers , Beresford made Breaker Morant , which returned to Australia's past and explored the country's colonial relationship with Great Britain against the background of the Boer War. The film confirmed Beresford's international reputation and opened the way for him to make films outside the rather limited resources of the Australian cinema. Breaker Morant contains a savage look at British attitudes towards its former colony and examines the exploitation and condescension such attitudes produce. Although the film's leading character was played by an Englishman, the movie was also a showcase for Australian acting talent. With The Club and Puberty Blues , Beresford returned to contemporary Australia. The Club , adapted from another of Bruce Williamson's plays, is a satire on the inner workings of an Australian football club, including its financial woes, moral tensions, and labor disputes. Puberty Blues deals with a pair of would-be "surfer-girls" growing up along the southern beachside suburbs of Sydney. The film deftly explores the macho world of Australian surfers while offering up an unflattering picture of how young women in this world are exploited and abused. In part because of his growing international reputation, Beresford moved to the United States to direct his next film, Tender Mercies , from a Horton Foote script about a down and out country singer who finds love and solace with a small town Texan widow and her son. At first glance the story seems an unusual subject for Beresford to film, but Tender Mercies contains much of the same social commentary and the visual beauty of his earlier films. The acting is notable, as is the evocation of locale, which is not unlike the arid spaces of the Australian outback. It is a quiet, small film, the kind of movie Beresford was used to making, and it set the pattern for the other successful American films that followed. Only when venturing into the mega-epic with King David did the Beresford touch falter. Returning to Australia, Beresford made The Fringe Dwellers , a movie about a family of aborigines and their attempts to integrate themselves into white Australian society. Their failure to do so causes a split between the generations and a dissolution of the family itself. Long a touchy subject in Australia, Beresford handled the integration issue with sensitivity, tracing the sad divisions between the races. King David came next. Although fraught with high expectations, the film was a critical and box-office disaster. He recouped whatever damage the fiasco might have done to his career by turning to Crimes of the Heart , an adaptation of Beth Henley's play about three eccentric sisters who have come together as a result of a family crisis. Once again, the director captured the ambience of small-town Southern society with gentleness and affection. The three sisters, all played by major Hollywood stars who worked remarkably well together under Beresford's direction, come off as a loving but eccentric byproduct of regional gentility and repression. Underlying the film is a steady and unblinking look at the place of women in this traditional society. It is noteworthy that Beresford's next film rated a large spread in the financial section of the New York Times. Driving Miss Daisy cleaned up at the box-office as well as at the Oscars, and made Beresford's name a known quantity among general film audiences around the world. A quiet film about the relationship between a black man and his elderly Jewish female employer in the South, the work features tour de force acting performances from both of the principal stars, Morgan Freeman and Jessica Tandy. For the most part the film does not deal with racial or social problems, but prejudice hovers around the edges of the world of the film and subtly affects its tone. It is another of Beresford's small films, a work of intense concentration that focuses on a microcosm of the modern world and which, in its unfolding, explores broad human as well as social issues. Beresford's films of the 1990s have met with mixed critical and financial success. Mister Johnson , based on a Joyce Cary novel, follows the adventures of an English engineer in West Africa during the 1920s. The engineer, who has been hired to build a road through the native bush, is accompanied by Mr. Johnson, his wily local assistant. Like many of his other films, it is a tragic story about the clash between societies in a colonial setting. Black Robe is a larger-scale historical film set in the Canadian wilderness. In 1734 a French Jesuit priest accompanies a tribe of Algonquins to his mission among the Hurons. The priest's spirituality is challenged by the hardships he faces in the wilderness and with the North American Indians. It is a grim film with bleak, scenic locations that create a thoughtful and stark background for its message of cultural friction. The same creative team that filmed Driving Miss Daisy reunited to film Josephine Humphreys' novel about a Southern family whose conventional lives are disrupted when the mother unexpectedly, and without explanation, leaves her husband and children. Rich in Love deals with the various members of the family but focuses on the coming-of-age of the youngest daughter, who has taken over the mother's duties. Both the acting and the screen adaptation were critically praised. In A Good Man in Africa , starring Sean Connery, the director returned to Africa, where the locals and the British were still at odds. The film was rather badly reviewed and several of the critics found the portrayal of both sides stereotypical and dated. Silent Fall is a suspense film about a psychiatrist who solves a double murder witnessed by the victims' nine-year-old son. It was released right on the heels of A Good Man in Africa and might have helped to save Beresford's current reputation, but it was so infrequently and so negatively reviewed that it only multiplied his troubles. Although in many ways Bruce Beresford has become a Hollywood director, one who likes large filming budgets and the options that such budgets afford, his films remain really quite consistent. Preferring ensemble acting to star vehicles, smaller films to epics (even though Breaker Morant was favorably compared to a David Lean epic by the critics, the film is still basically an intimate courtroom drama) and always infusing his films with an insistent social critique, especially on the question of racism, Beresford has fashioned a remarkably consistent career for all of its seeming diversity.